Real estate property managers serve an important role in the rental real estate field. They connect landlords with tenants, providing a variety of services to make the role of a landlord easier to handle. In areas with many apartment complexes or residential developments, this can be a high-demand field. To become a real estate property manager, you must first complete at least a bachelor’s degree in a related field. 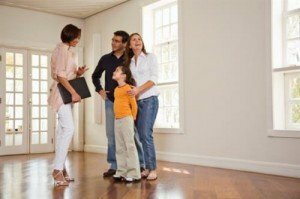 A real estate property manager helps landlords manage the properties they own. This may include maintaining the property and ensuring that it looks presentable, screening renters, advertising available properties, handling the lease agreement and collecting monthly fees from tenants. Record maintenance and bill payment are also vital services provided by a property manager. The amount of control and oversight that the manager has is going to vary largely from one property to the next depending on the needs of the property’s owner. If a property manager is also going to buy and sell property, then the individual will need a real estate license in the state in which they live and work. Some states require property managers to be licensed. If managers will work with public housing projects that are subsidized by the government, they must be certified. Real estate work experience is also helpful in this field. Professional certification, while not always required, does show competence and professionalism and can aid in attaining a job in the field. Real estate property management as a career does not have any specific degree requirements. However, most employers prefer to hire those who have attended college. Bachelor’s or master’s degrees in fields like accounting, business administration, real estate, public administration or finance are preferred for those seeking a job as a real estate property manager. Business and finance study, even if the candidate does not complete a full degree program, will help in the field, because property managers help with the financial and bookkeeping aspects of managing rental property. To become a real estate property manager, you must first complete at least a bachelor’s degree in a related field. Then, look for ways to get practical experience in the real estate market. Working in real estate sales is an excellent option, as this helps teach the sales and managerial skills necessary to be a good property manager. Once you have education and experience, look for your state’s licensure and certification requirements and options, and pursue any necessary training and testing to get that certification. Finally, consider looking for a position with a property management firm first to gain practical experience in the field. The Bureau of Labor Statistics indicates that the median annual wage of property managers in 2010 was $51,480. The top 10 percent in the field earned over $111,320, while the lowest 10 percent earned less than $26,180. The amount property managers earn is tied directly to the cost of the rent for a property, so those that live and work in areas with higher property values will earn more than those who do not. The growth of new apartment complexes and homeowner communities in the future will lead to a slight growth in the demand for property managers. The Bureau of Labor Statistics anticipates a six percent growth for this career field. This is slow, but it is growth.